Jesus looked at His followers and asked them a detailed demographic question. It was a survey of sorts. “Who do people say the Son of man is?” In other words who do they think I am? Jesus, more than likely already knew what others thought of Him and who He might be, but He asked His disciples. Why did He do that? Why ask if He already knew the answers? Perhaps the reason Jesus asked His disciples this question was to help them finally pin down who Jesus was in their hearts and minds. He first asks them about how others viewed Him. It is an the greater perspective, but then Jesus brings it back to them when He said, “But who do YOU say that I am?” Notice the personal question. Now the tables have turned. Now the disciples are glancing at each other hoping someone will answer first. It is one of the most pivotal moments in their spiritual education as Jesus’ disciples. This one solitary moment of internal reflection. It is a moment that causes each disciple to carefully inspect what He has done and what He has said. For but a moment, doubt and worry must have clouded their minds. For but a moment each individual, not the collective, considered the right words to say to Jesus. It was mere moments but it could have been a lifetime. Is it no surprise that Peter is the one to speak? He was the disciples that climbed out of the boat when all of the others waited and watched Jesus walking on the waves. The same Peter who seemingly dove head first into anything he did. It was all or nothing with Peter. So Peter speaks up and nails Jesus’ identity for the group gathered there. “You are the Messiah, the Son of the living God“. Can you say hashtag #nailedit ? 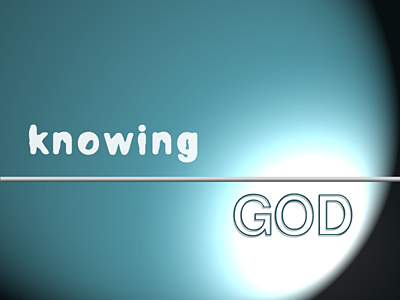 Peter solidifies for the rest of the disciples as he identifies Jesus. It’s been nearly three years that they have been together, didn’t they already know? Didn’t they already trust THE Rabbi? I think the question here that begs to be asked for us today is this: “Who do we think Jesus is?” Can we quickly respond as Peter did? Can we identify Jesus as God’s Son and Messiah to us as well? Is He your Messiah? 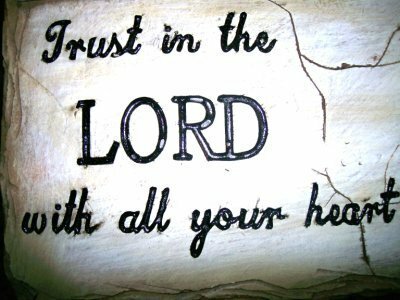 You see I believe there is a big difference between knowing Jesus and trusting Jesus! James 2:19 says, “You believe that there is one God. Good! Even the demons believe that–and shudder.” You could substitute the word ‘believe’ for the word ‘know’. Even the demons know Jesus. That is a big difference from fully trusting in Him though. Trusting Jesus means that we have to let go of our preconceived notions. It means that we have to relinquish our self-reliance. It means that we have to place our faith in something other than ourselves or something seen…but in the unseen. Do you trust the Son of God? Have you let go of your casual understanding of Him? Are you prepared to delve into the waters of faith? Don’t just settle for knowing Jesus, trust Him also! Peter declared boldly “You are the Messiah, the Son of the living God”; may we have this same boldness in our faith to do likewise today! Trusting Jesus, that is all.